Aijaz Aslam is a well known TV artist who is in fashion designing since 1995. He showcased various collections during this time and earned good name in fashion industry. 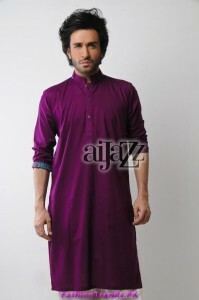 He has developed his own fashion brand Aijaz-The fashion store. He displayed dresses for both men and women in different styles and trends with modern techniques. He designed dresses with latest and unique fashion setting and provide the customers in a very innovative style.